A canon is a piece of music where a melody is played and then imitated (one or more times) after a short delay. It is a contrapuntal technique as the melodic lines move independently from each other, but are linked harmonically. As you can see from the diagram above the first melody is called the leader (otherwise known as dux or proposta), whilst the following melodies are called the follower (or comes or riposta). The above example is a simple canon more commonly known as a Round – all of the voices are identical in pitch and rhythm. A lot of other nursery rhymes can be sung in this way. 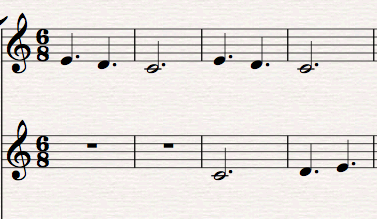 The above example can be described as a Canon in 3 as it has 3 voices. If it had 4 voices it would be called a Canon in 4. In some canons the leader melody is transposed when it is imitated – these are called interval canons. If the transpositions are carried out exactly then this is called strict canon. 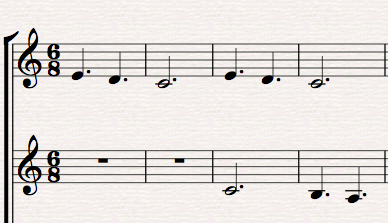 If the intervals are changed slightly in order to fit the scale (e.g. a leap of a major sixth may become a leap of a minor sixth) then this is called free canon. In a retrograde canon the follower plays the leader melody backwards. In retrograde inversion the follower plays the leader melody in contrary motion and backwards!! 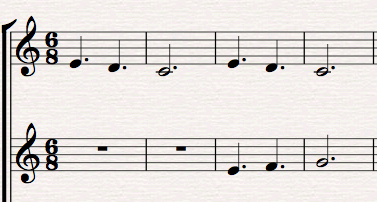 Sometimes you will come across a piece of music where there is more than one canon being played simultaneously. E.g. if there were 4 voices playing and 2 simultaneous canons then it would be described as a Canon: Four in Two (4 voices in 2 simultaneous canons). Sometimes a piece of music will have a canon accompanied by another separate part which does not play in canon. This is the case with Pachelbel’s canon in D major, arguably the most famous canon having become a regular feature in both concerts and at weddings. Palchelbel’s canon is a simple canon (or round) in 3 voices with an additional Ground Bass accompaniment. Canon Form can be a very useful tool for composing. I have used it on various occasions when writing music for choirs. It can be tricky to get the parts to interweave effectively. My advice is to start with a leader melody that is fairly simple and try delaying the entry of the 1st follower line by about 2 bars. 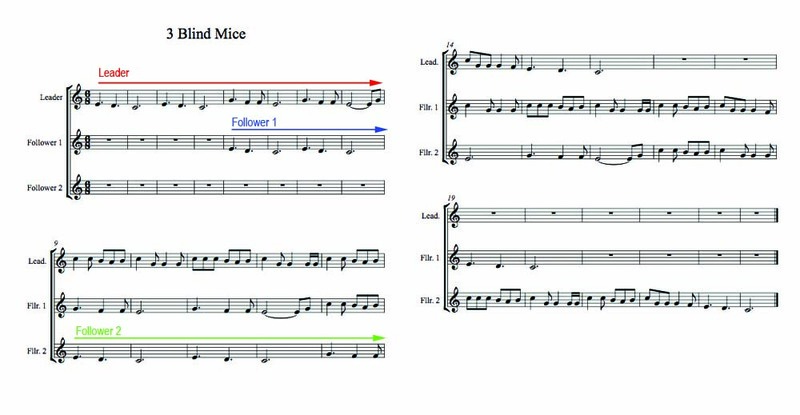 This should give you a good start to writing music in Canon Form.